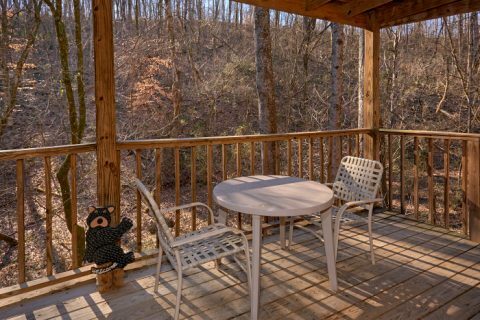 You'll find "Honey Bear Hill" in the lovely Honeymoon Gardens Resort area only minutes from the Old Mill, Dollywood, and the most exciting part of the Pigeon Forge Parkway! 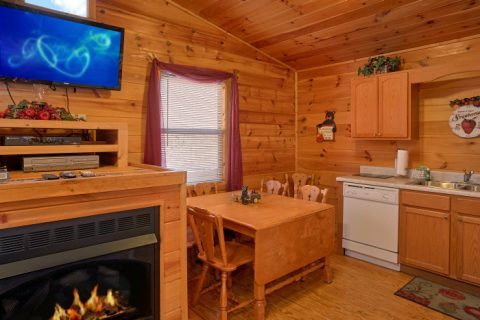 This 2-bedroom cabin rental is perfect for affordable getaways with someone special. 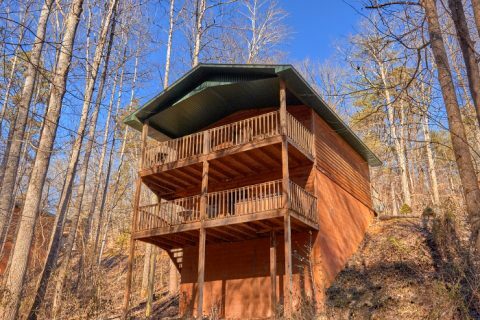 With room for up to 4 guests, this cabin is also a great choice for a vacation with friends or a weekend trip with your family. 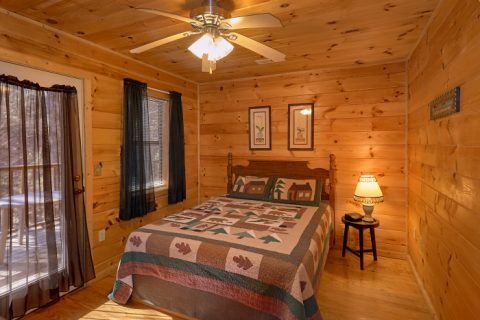 After a long day of exploring great attractions or hiking in the Great Smoky Mountains, you'll love returning to this cozy cabin only minutes away from all the action. The main living room area is a perfect place for relaxing while you watch shows or movies on the flat-screen television. 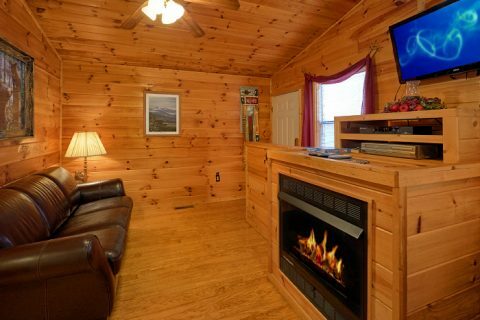 You'll stay cozy and warm thanks to this cabin's seasonal gas fireplace while you sit back in comfortable leather furniture. 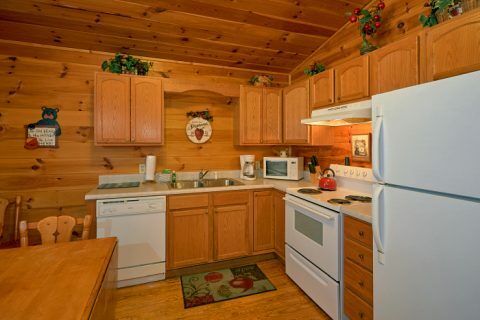 This cabin's full kitchen on the main level also gives you the option of preparing tasty meals in the comfort of your cabin. Along with the charcoal park grill on the back deck, you'll have everything you need for making cost-effective dinners. 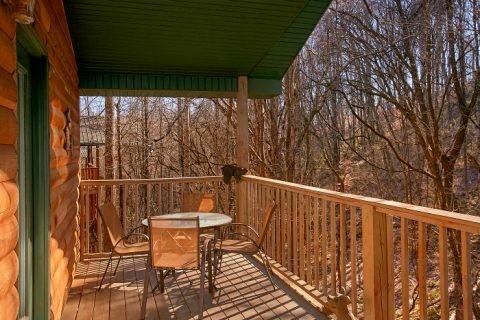 Gather around the dining table near the living area or head outside to the covered deck to enjoy a breakfast surrounded by a Smoky Mountain forest. 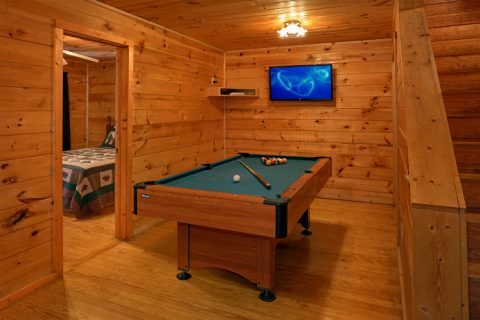 For great cabin entertainment, stroll down to your cabin's game room to play a game of billiards on the pool table. 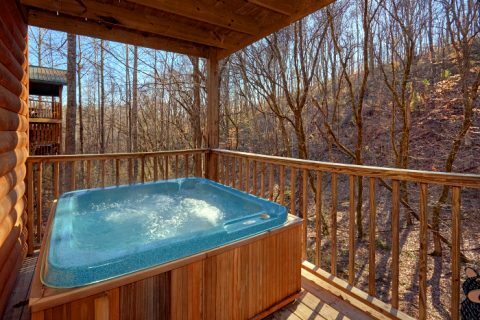 After a day of hiking in the mountains, nothing beats sitting back in this cabin's hot tub on the back deck surrounded by nature. 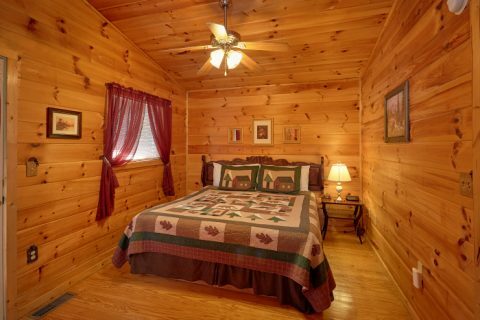 You're sure to get a great night's rest with this cabin's two bedrooms. 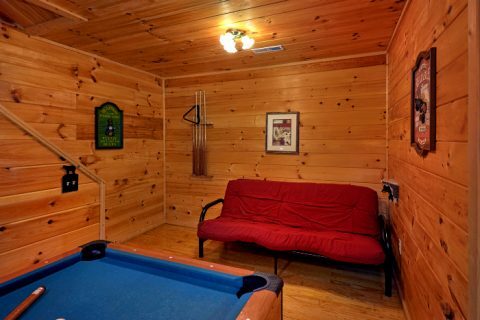 One room provides a king-size bed, while the other features a queen mattress. 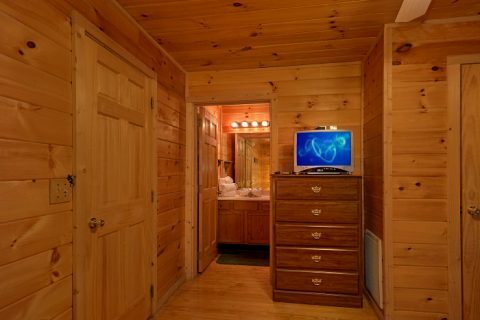 Altogether, this cabin comfortably accommodates up to 4 guests. 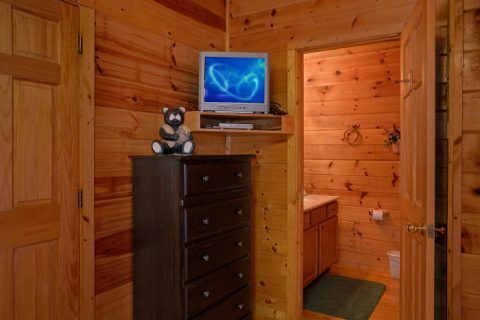 Additional amenities included in this honeymoon cabin are WiFi Internet and a washer/dryer. Last, but not least, the Honeymoon Gardens Resort area features paved roadways and flat driveways. Book this affordable 2-bedroom cabin close to Pigeon Forge, TN today to earn a special discount! 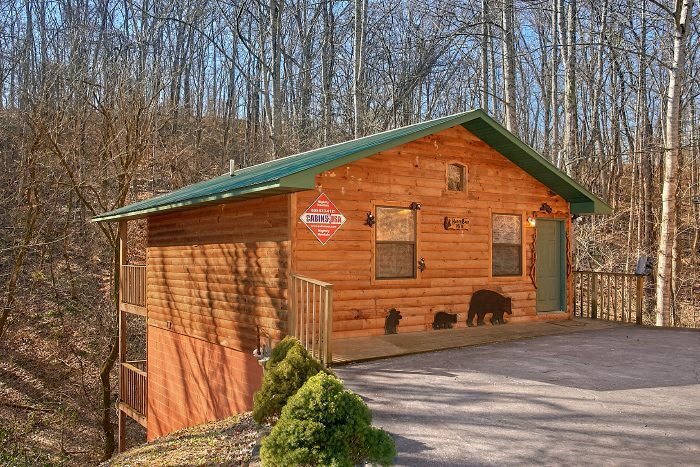 You can save 15% on this rental's nightly rate simply for booking online with Cabins USA!